Sad pictures flood social media of the Notre Dame, Paris’s historic and most iconic cathedral. The beautiful church was undergoing renovations at the moment, which some speculate might be related to the cause of the fire, but it is not confirmed yet, so Churchleaders.com reports. The Associated Press is reporting the roof at the back of the cathedral, behind the cathedral’s nave, is in flames. Yellowish-brown smoke and ash are filling the air. It is unclear at this time how the fire started or the extent of the damage, although the firefighters working to put out the flames have reason to believe it is “potentially linked” to the renovation project involving the cathedral’s spire. The good news is that there have been no deaths caused by the fire so far. 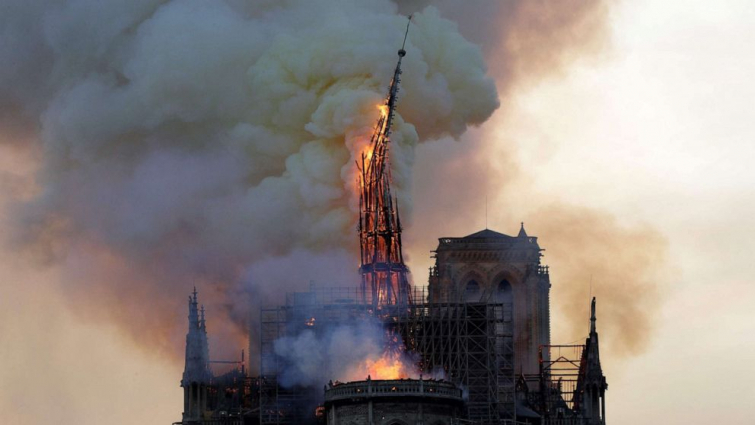 Parisians and visiting tourists are posting images on social media showing the flames in the sky and lamenting the damage to the historic building.